What’s in season for the last quarter of 2018? Mickey Mouse. We’ve lost count of the number of fashion brands celebrating Disney’s most iconic character’s 90th birthday this month. Joining Rag & Bone, Levi’s, Kate Spade, Opening Ceremony, Vans, Marc Jacobs and more is Brazilian flip flop company Havaianas with its new Mickey Mouse-inspired collection. 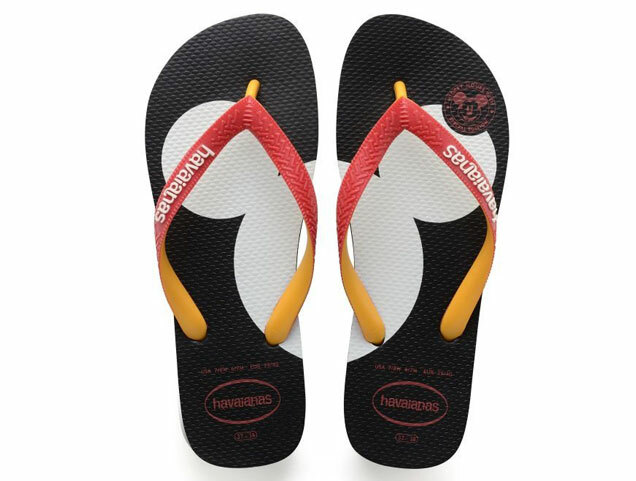 Mickey isn’t Havaianas’ first Disney collab, as the brand has also created designs inspired by Donald Duck, Cinderella, Belle and Snow White. The new collection features 10 flip-flop designs commemorating milestones in Mickey’s history, such as his first debut in 1928 and his partnership with the U.S. Space Program in the 1960s. Be part of the celebration and watch out for the collection to go on sale on November 15 at Havaianas.